A healthy environment at home goes a long way towards improving your well-being. 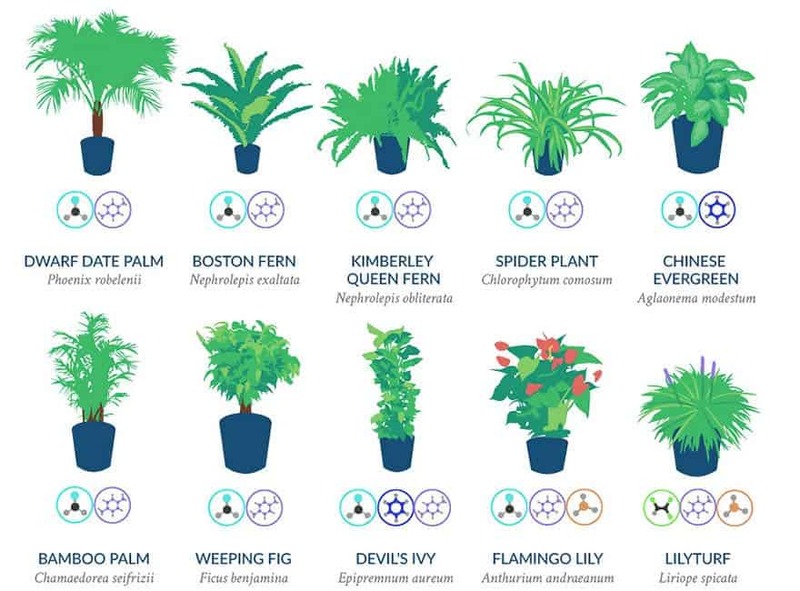 The NASA Clean Air Study identified several species of plants that are effective in scrubbing your home’s air of nasty chemicals. Compounds including benzene, formaldehyde, trichloroethylene, xylene, and ammonia float about in the air around you, released by aging adhesives, fire proofing, car exhaust, and the list goes on. These chemicals have been linked to negative health effects — headaches, dizziness, eye irritation, and others. So how can you scrub these nasties out of your air? Well, a NASA study led by B. C. Wolverton some 27 years ago found that The Florist’s Mum and Peace Lily are the strongest choices for the job. Following the study, the agency also recommends you have at least one plant per 100 square feet (10 square meters). Although the research technically classifies as “old” (and further research has been done on the subject, as we detail here) it still remains one of the most inclusive and accurate works on the issue. The guys over at Lovethegarden.com have luckily framed the findings of the study in a handy inforgraphic format. Ah, the wonders of modern technology. So enjoy, and next time you’re looking for a potted friend to bring back home, consider consulting this guide.